Its super busy in our home as we are getting ready for my Parents & Sister arrival on Friday and then off to ORLANDO on Saturday for some Disney World for Kirie's first vacation :) Needless to say, we are all SO excited! So the reason your all here today...SCRAPPY MOMS STAMPS TERRIFIC TUESDAY CHALLENGE! If you haven't participated before, join in the fun! TTC, as we call it for short, happens the first and third Tuesday of every month. Be sure to check out the Scrappy Moms Blog to view the other designers projects and enter in the challenge for your chance to win a Scrappy Moms Stamp Set of your choice!! This weeks challenge could not be any more fitting. The theme is Summer Time! Once I saw this image from Tiddly Inks, I just had to have it! 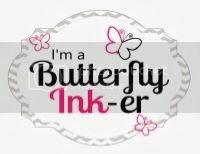 AND i'm showing you a SUPER, SUPER Sneak Peak of the new stamp set being released this Friday from Scrappy Moms Stamps! Hope you guys enjoyed! Be sure to check back on Friday for the official Sneak Peak of the 2 new stamps sets being released by Scrappy Moms Stamps! Love this image from Tiddly Inks!